Rice is regarded by the majority of Nigerians and the world as the most consumed food. That implies that any form of rice business be it rice distribution or rice farming will make waves. If you are a businessman and you are searching for more things to invest in, I urge you to invest in rice business and become a rice distributor in Nigeria. You would bet to agree with me that 90% of families in Nigeria consumes rice at least 3 times a week. In this article, I will be teaching you about the steps to become one of stallion rice distributors in Nigeria. Stallion rice is known as one of the most populous and largely most distributed rice around the globe. Its demand worldwide is ever increasing and this has made stallion rice distributors in Nigeria famous. The stallion has different brands which include: Tomatoes King, African Princess, Caprice Gold, Caprice, Mama gold etc. The mentioned set of stallion brands are very popular in the Nigerian markets today. We are putting our focus on stallion rice in Nigeria. 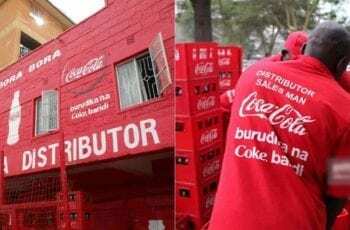 This is because of the fact that the brand is known all over the country. When you become one of stallion rice distributors, you can make your profit as fast as possible. 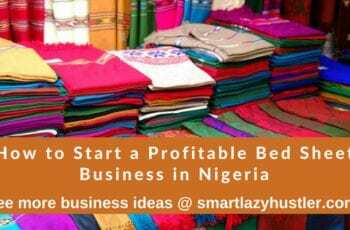 The turn over of selling stallion products is very high, so I suggest you cash into this business and start making money. No one can become a distributor of any product without first purchasing that product. And that is why capital is the basis of any business. 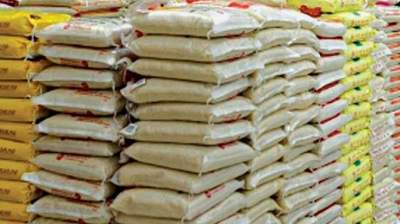 If you have enough money, you are advised to buy the stallion rice in bulk so that you can distribute any amount of quantity that is demanded. Frankly speaking, to become a distributor of stallion rice in Nigeria requires huge capital. This is the first step to becoming a stallion rice distributor. Register with a stallion rice company by imputing your name, address, phone number, where you wish to work. You can as well pay for some of the stallion rice so that you can start distribution. If you do not want to go through the stress of registering in their company, you can opt to find a reliable supplier who would be delivering to you stallion rice in bulk for a cheaper price for you to sell. Getting a good supplier implies succeeding at the end. If you are the type of distributor that will always buy stallion rice in bulk, then you are required to rent or buy a large warehouse for storage. You can store the stallion rice bought in bulk and deliver them to retailers when a situation calls for it. Obtaining a warehouse is always advantageous because you can easily protect the stallion rice from theft or any misfortune that could occur. But the only challenge is that your warehouse could catch fire, leaving you with nothing. Notwithstanding, the probability of occurrence is very small. Renting or buying a warehouse will enhance your distributorship business of stallion rice. Since you are going to be a stallion rice distributor, getting a form of transportation is very much required. A truck is the best alternative for the distribution business. The truck will enable you to transport the stallion rice from the company or from your supplier to your warehouse. At least 2-3 trucks are required for the distribution business because you will be buying in large quantity. Stallion rice is high in demand in Nigeria homes and eatery today. If you become one of stallion rice distributors in Nigeria, you can serve Nigerian homes and make your money. Like I said earlier, rice is generally eaten at least 3 times in a week by every individual in Nigeria, making it very high in demand. Restaurants, canteen, eatery etc all purchases bags of rice because they cook it for their customers who would come to eat on a daily basis. Since stallion rice is demanded in every nook and cranny of Nigerian markets, it has made its distributors smile to the bank on every sale. Get the right people to supply to and you would make money in excess. If stallion rice is highly demanded, so also it is highly consumed by the public. Majority of Nigerian homes serve their visitors’ rice when they come, and as well they eat the rice also. Restaurants and canteen also cook rice daily for people who are willing to eat it. Aside from the capital to start the business, there is nothing difficult about becoming a stallion rice distributor. Well, I have explained the steps to raise capital as an entrepreneur in my previous post, so I guess you would surely check it out. Becoming one of stallion rice distributors in Nigeria is not a difficult thing to start and would not require lots of registration, unlike other businesses. What you simply have to do is to find a reliable producer of the stallion rice or a trustworthy importer to partner with. Your job is only to distribute the rice to designated places where it is needed. The aforementioned points stated will assist you to become one of stallion rice distributors in Nigeria. To become a successful distributor, you should endeavour to establish good communication between you the distributor and the retailers. The stallion rice distributorship business is also capital intensive, so it is meant for people willing to put down their hard earned money so as to make gains in the future. You have to go out and ask the dealers themselves. I don’t know Akwa Ibom, so I can’t give you the list of wholesale dealers close to you. I am so sorry I couldn’t help much.